This year we introduced a new product to our collection. We wanted to combine both flowers and balloons into one gift. So we came up with our balloon bouquets. This hot air balloon looking creation literally were floating off our shelves. 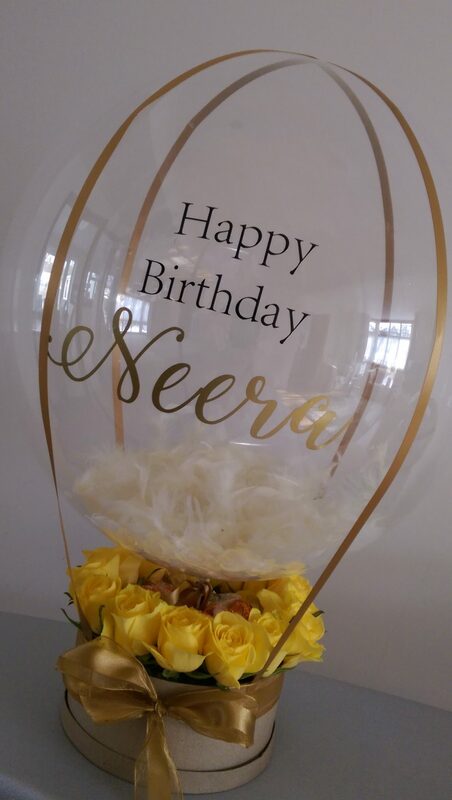 Encasing the very best of our balloons with the very best flowers on the market, we combined them both. The flowers sit in pre-soaked material which means the flowers stay fresh. 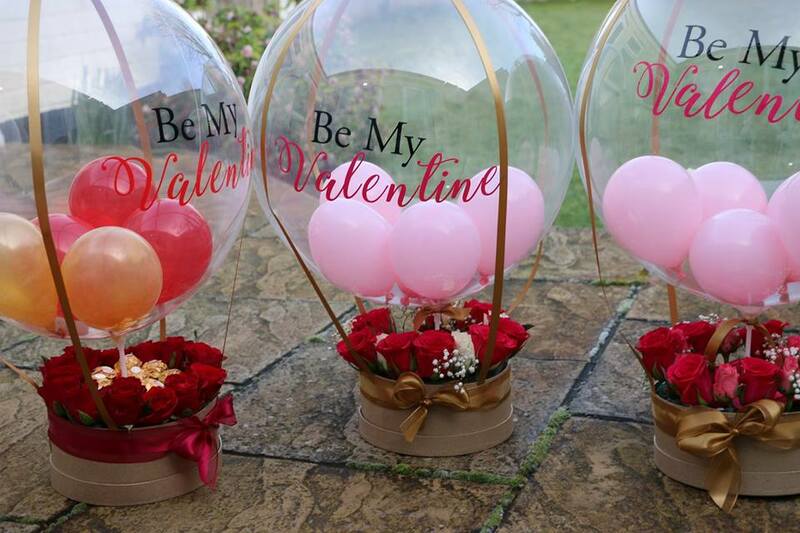 These Valentines gifts are attached to a personalised balloon and are filed with small balloons. We didn’t realise that they would be so popular. Unfortunately we were unable to post these out unlike our ordinary balloons. 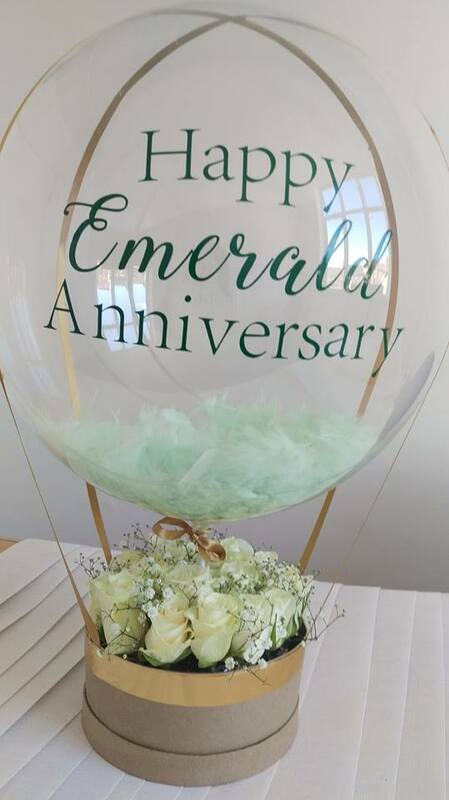 However for all of our local clientele in Pinner, Harrow, Northwood, Hatch End, Stanmore, Ruislip, Uxbridge, Rickmansworth, Watford and the surrounding areas, these bouquets were very popular. Flowers are lovely but our customers were looking for something different and original to wow their partners with. What was a Valentines product, we now get asked to do them for birthdays, new births, anniversaries and so on. We are totally proud of these and they are guaranteed to give that wow factor. They are so unique and they come wrapped up giving it that even bigger wow factor. At Grapefruit Balloons we are constantly creating, designing and coming up with new and innovative ideas. They have so many uses. In fact we have been asked to put chocolates in the flower basket and potentially going forward they could be used at Baby Showers with soft cuddly toys instead of the flowers. So if you are looking for an alternative Valentine’s gift then look no further than these bouquets We look forward to the day when a customer asks us to put a ring in the bouquet. How incredibly special that would be.